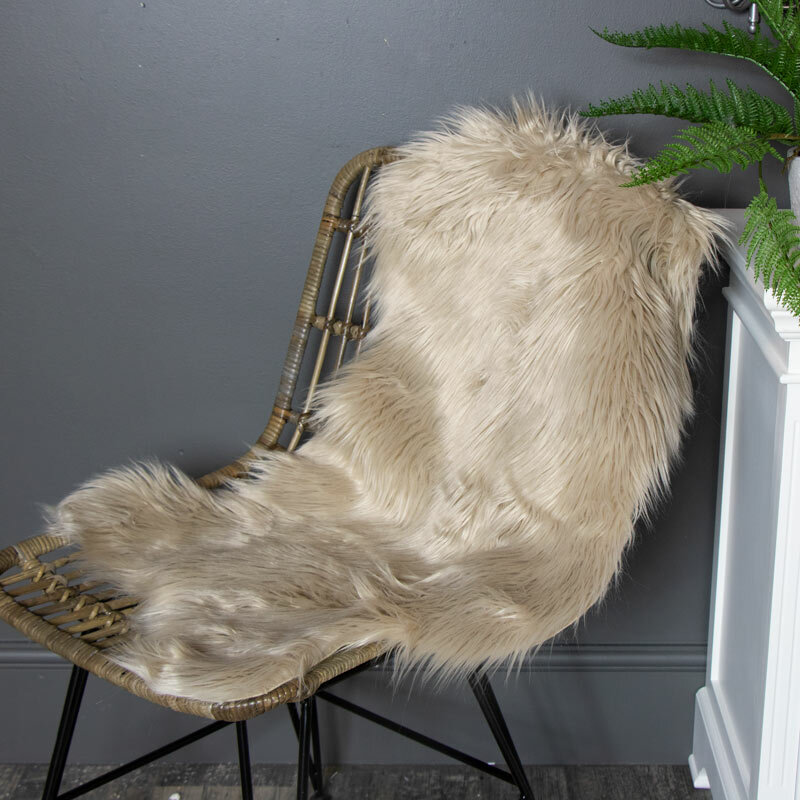 luxurious soft faux fur chair throw adds a real natural look to compliment your home whether your going for a more pretty French chic interior or more of a rustic lodge. A gorgeous soft pelt to add a little extra comfort to your dining chairs, a bedroom, living room or hallway. Add a beautiful soft touch underfoot in which ever room you desire. 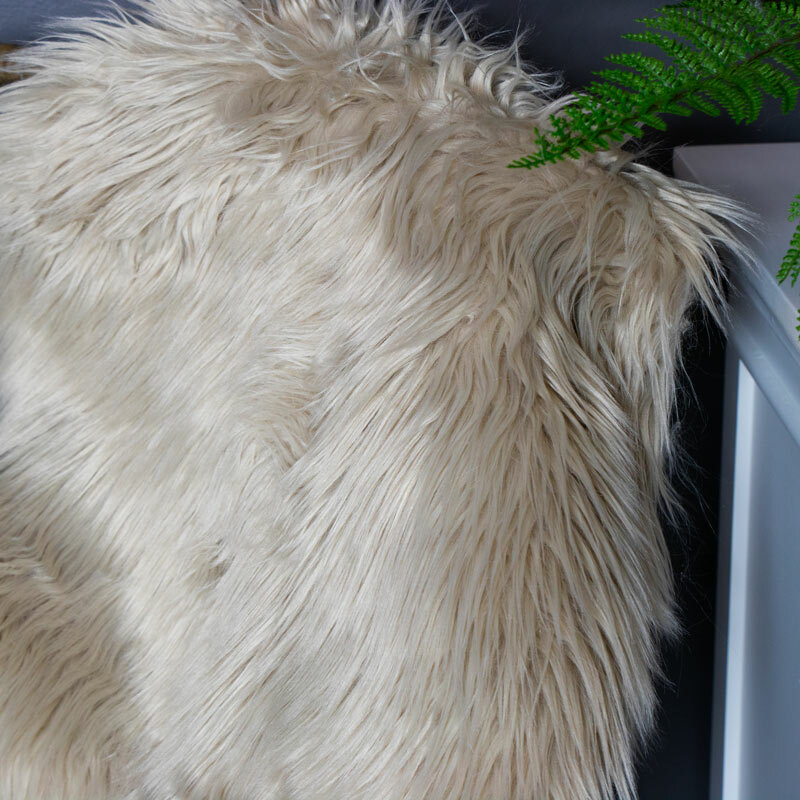 luxurious soft faux fur chair throw adds a real natural look to compliment your home whether your going for a more pretty French chic interior or more of a rustic lodge. A gorgeous soft pelt to add a little extra comfort to your dining chairs, a bedroom, living room or hallway. Add a beautiful soft touch underfoot in which ever room you desire. Perfect for also throwing over chairs and sofa arms. We offer a range of Faux rugs! If this is not the colour for you, take a look at our other great colours available.